I was invited to a hockey game last minute and decided to go. I'm glad I did because, I had a BLAST! We were lucky enough to be close up in great seats so I saw all of the action. I even got a chill and a breeze when the ice sweepers went by. 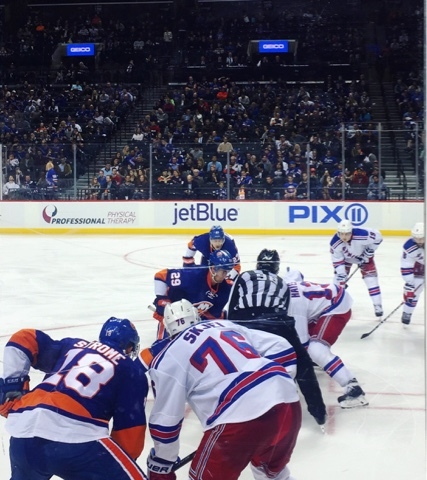 The Islanders vs Rangers game on October 4 was so good, it went into overtime. I'm not that into sports but I'm glad I have an open mind and like to try new things. I was not disappointed and I can't wait to attend my next game.